In other words, just as we feel now that bad things are unwelcome, so also, when one has risen up the ladder of saadhanaa a certain number of steps, one will begin to feel that even the so-called good things are unwelcome. The policy of ‘Whatever will be, will be’ is what leads to the feeling of tolerance of ‘bad’ and that is ‘titikshhaa’ . When one is ready to reject what is called ‘good’ by calling it equally ‘unwelcome’, the attitude of ‘titikshhaa’ means that even that ‘unwelcomeness’ is tolerated. This is the ‘titikshhaa’ of even the good things. Even though we might want to think indifferently about both good and bad things, our karma of the past might bring in certain good things in spite of ourselves. Without our wanting it wealth might pour in. Relatives and friends may behave very favourably. More such good things might happen. One may think ‘Oh No. I don’t want these good things to happen. Only if I keep cool and happy when bad things are happening to me I can check my success in saadhanaa. The good things are only traps that draw me deeper into MAyA. I don’t want them’. Such thoughts again speak against ‘titikshhaa’. One has to show ‘titikshhaa’ even of good things; in other words, even the good happenings must not be unwelcome – they also must be suffered, endured! 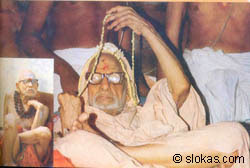 The Acharya has defined ‘titikshhaa’ as *sahanaM sarva-dukhAnAM* in Viveka Chudamani as well as in his AparokshAnubhUti. It means to ‘bear all sorrows’. Here ‘all’ includes the so-called ‘pleasures’ also because what appears to be pleasing or a pleasure turns out to be really a sorrowful thing from the point of view of eternity. Only ‘JnAna’ is happiness. Happiness is only that which arises from advaita-jnAna. The hot-cold pair that was mentioned in the beginning is again referred to in the chapter on dhyana yoga, where He further adds (Ch. 6 – 7) another pair -- *mAna* and *apamAna*. In many places (2-57; 9-28; 12-17) He has mentioned the pair *shubha-ashubha* of direct opposites. 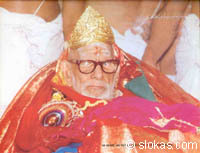 The shubha- ashubha (auspicious and non-auspicious) is nothing but puNya and pApa (Spiritual merit and demerit). At several places He mentions the pairs *priya – apriya* (likeable and unlikeable) , *ishhTa – anishhTa* (favourite and non-favourite), *lAbha – alAbha* (gain and loss), *jaya – apajaya* (victory and defeat) and pleads for equanimity between these opposites. We have to keep on patiently tolerating whatever now appears to be bad among these, so that in due course we can be totally indifferent to them. Extreme cold, extreme heat, , the inauspicious, the unpleasant, sorrow, dishonour, defeat – in all these, we have to build up such a tolerance. And this tolerance should also be practised towards what appears now to us as good, namely, healthy heat, healthy cold, pleasure, honour, success, the auspicious and the pleasant. The Lord would not have mentioned both if he did not mean these also, in his list of objects towards which we have to be equanimous. Both good and bad have to be taken equally, ‘suffered’ equally, treated equally indifferently. One can easily understand what it is to tolerate/endure what is bad. Maybe we cannot do it in practice; but we know what is meant. But what is it to say: ‘Endure the good things!’? Isn’t it funny? – To ‘endure’ the good things? That will be understood only if we take a few steps up the ladder of saadhanaa. Even those that appear to be ‘good’ will turn out to be ‘unwelcome’ at a certain stage. Suppose a cool wind blows softly. It is pleasant to the body. But the thought will arise: “Why this hankering after the pleasure for the body? Cold or hot, whatever wind blows, let it blow. That should be the goal. In the same manner, when one gets money or status, or when one receives the aplombs of others, one will begin to think: “Why can’t I allow poverty to stay with me? Let people not be pleasant to to me. So what? Already I have trained myself to tolerate bad things; then why should I now be different when the good things arrive? If I change now then I would be making a distinction between good and bad”. When it comes to full-fledged music like a Kirtana or an Alapana, the upper and lower svaras do mingle in various orders. The word ‘uparati’ signifies a repose after all ties or attachments have been dispensed with. And ‘then’ you are supposed to practice the forbearance implicit in ‘SAdhanA’. This looks like telling a sleeping man to ‘be patient’! So the word ‘then’ is not to be interpreted in terms of a sequence in time. Rather it should be interpreted as a juxtaposed addition like a ‘plus’! The analogy of the high school student studying different subjects for his final examination should not be forgotten. If one takes up the lesson of ‘uparati’ seriously and succeeds in it to a certain extent, the mind will be free of perturbations of happiness and sorrow, unlike the normal mind which is always tossed between these two extremes. Even then, if pleasure or pain happens in an abnormal or subnormal way, there is likely to be a vibration from the state of ‘uparati’. It is in this context that ‘SAdhanA’ is prescribed by the Rishis of the Upanishad. The word ‘titikshhasva’ (Forbear) is actually the Lord’s word (Ch. 2 – 4) in the Gita. The common word ‘shItoshhNa’ is actually made up of two words: ‘shIta’ – cold, and ‘ushhNa’ – hot. It is a pair (‘dvandvaM’) of opposites. Similarly there is ‘sukha-dukha’ (pleasure and pain), another pair of opposites. ‘Bear with hot and cold, pleasure and pain’, says the Lord to Arjuna. Off and on in the Gita the Lord mentions several such pairs of opposites. Says He: “Transcend all these pairs of dualities and be beyond all of them. Be a ‘dvandvAtIta’ – one who has transcended all dualities. Whether your objective is fulfilled or not, be equanimous to both fulfillment (siddhi) and non-fulfillment (asiddhi). Such equanimity also implies only ‘SAdhanA’ (tolerance, forbearance, endurance). In the last chapter also He refers to this topic of ‘siddhi-asiddhi’ when He says: “That JIva who has no impact by either fulfillment or non-fulfillment is the sAtvika doer” (Ch. 18 – 26). On the one hand it is said that only when the mind vanishes along with all its taste of material experience will one have the Experience of the absolute and on the other hand it is also said that such taste will disappear only when that Absolute is experienced. Does this not look like the standard Tamil paradigm: “Marriage can be fixed only when the mental imbalance is disposed off; but the mental balance can be restored only when marriage is fixed”! Not so. The craving for the taste has to go. The mind has to go. Every effort has to be made to achieve both and to have the vision of Reality (‘Atma- darshanaM’). But it is not easy. The craving for the taste etc. will not disappear fully. When such a total effort has been done, the Lord with His Infinite compassion grants him the Realisation of the Atman and in that very process, destroys the taste and the mind’s craving for that taste. If everything is going to be the result of his effort, then what is the greatness of the Lord’s Grace? In other words, till almost the last stage man has to be practising all the different SAdhanAs. The various parts of Atma-SAdhanA have to be practised simultaneously, just as a high school student studies for the different subjects of his final examination, all together, though at any point of time it appears he is studying for them in a certain sequence. The very idea of sequencing the steps of the SAdhanA as if one follows the other is just to give a clarity of understanding. In the early beginnings of the lessons on music the svaras ‘sa’, ‘ ri’,’ga’, ‘ma’, ‘pa’, ‘dha’ ‘ni’ are sequenced in order that the learner may get the right fixation for each of the svaras. Another thing must be mentioned. There are several parts like vivekaM (Discrimination), vairAgyaM (Dispassion) and shamaM (Self-control). In none of these can one expect to have attained perfection until the final stage of Realisation. Each of them will at every stage be somewhere below the mark of perfection. All of them go together towards perfection until the final Realisation happens almost suddenly! Why do we have to do all this SAdhanA? The objective is to purify the mind completely to such an extent there is no mind left thereafter. What does it mean to say that there is no mind? Desire, the hankering after matter, should be absent. I just now told you that this eradication of desire and hankering after material things will happen at the stage of Realisation. In fact that statement itself has to be modified. Only if the Realisation of the Self happens, the taste for matter will vanish. In other words, Self –Realisation is first. Then only, -- ‘then’ does not mean ‘after a time’ – immediately, though only after the Realisation, does the material hankering vanish completely. *paraM dRRishhTvA* -- Having seen the Absolute; Just by the experience of the Absolute Principle. *rasaH api nivartate* -- the taste of experience also vanishes. Next to ‘uparati’ we have ‘SAdhanA’ (meaning, endurance, forbearance or patience). The Tirukkural has a chapter on this subject. Our use of the word ‘Next’ does not imply that ‘SAdhanA’ comes only after one attains perfection in ‘uparati’. I shall repeat what I have said many times, because it is worth any number of repetitions. To attain Atma-jnAna, one needs several things – discriminatory intellect, dispassionate mind. control of the senses and mind; and the mind has to wean itself away from all things and stay put in the state of ‘uparati’. In fact there are several other things to be achieved. If one thinks of perfecting one step before going on to another step, he is mistaken. As an example take a job in the Police Department. There may be several requirements for such a job – like age qualification, level of education, height, weight, character pattern, fufillment of restrictions or limitations with reference to one’s caste and so on. All this means they should all be satisfied simultaneously, not ‘one after another’. It is not like fulfilling the age qualification first and then beginning to study to fulfill the educational qualification! It is in the same sense the requirements of ‘nitya-anitya-vastu vivekaM’ to ‘mumukshhutvaM’ are to be concurrent and not sequential. In other words though they have been mentioned by the Acharya in a certain order, they have to be present and practised simultaneously. (Continued...)When the external holds (*bAhyAvalambanaM*) are all dismissed, that is ‘uparati’; and the discarding of all of them is ‘sannyAsa’. ‘nyAsa’ is throwing off or discarding; doing it well is ‘sannyAsa’. You may wonder why he talks about these well after a person has taken sannyAsa and has gone almost to the peak of SAdhana. A little thinking will clear this. All the SAdhanAngas mature gradually into perfection as you go spiritually higher and higher. That is viveka-vairAgya, elaborated in the beginning, is again taken up in shloka 175 (or 177) and he says that only by their ‘atireka’, that is, extra growth, the mind becomes pure and becomes eligible for mukti. ‘For the yati who has controlled his mind, I know of nothing other than vairAgya that gives him happiness’. Similarly, after vairAgya comes knowledge and after knowledge, uparati – thus the complete fulfillment by uparati is mentioned in shloka 419/420. But then the mind has now come to a certain uparati; will the ascent end there in almost a dry manner? No. It may appear so. But God’s Grace will not leave it so. This seeker who, with the single goal of seeking to know the truth of the absolute Brahman, has controlled all his desires and rested his mind with such great effort, would not be left alone by God just like that. Nor would He give him Brahman-Realisation immediately. His karma balance has to be exhausted, before that happens. 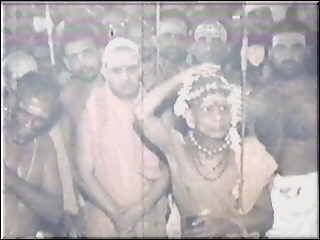 Before that time comes, He would give him the opportunity to reach the samAdhAna stage that makes him ready to receive the upadesha of the mahAvAkya. And then the sannyAsa and then the mahAvAkya. It goes on thus. But between ‘uparati’ and ‘samAdhAna’ there are two more: namely, ‘SAdhanA’ and ‘shraddhA’. (Continued...)When we say ‘VairAgya’ there was an implied disgust towards all desires and so the main aim was to eradicate the desires. In ‘shama-dama’ the sole purpose was to subdue the mind from its desires and to subdue the senses from acting to fulfill those desires. Thereafter no further action. The mind has rested after all this vairAgya, shama and dama. But the rest is not a total rest – such a total rest, annihilation, is still far away! The present rest is only like a recess. The AtmAnubhava, its bliss etc. are not there. It is almost as if there is a void; yet there is a peace since the turbulence is absent. Since at this point the desires have been thrown off, the Acharya calls this itself (in Brihadaranyaka Bhashya) as sannyAsa: that is, he calls this ‘uparata’ a sannyasi. Actually out of the sextad of qualities, there are still three more: SAdhanA, shraddhA and samAdhAna. We have yet to see these three. After those three, there is again ‘mumukshhutvaM’, the anguish for Release. Only after that, sannyAsa. Then, how did he bring it here? Let me remind you what I said earlier. These SAdhanAs are not supposed to be sequenced as if one follows the other strictly. They come only in a mixed fashion. When they come like that, when some one obtains a complete fulfillment in VairAgya, described earlier, he may take sannyAsa even right there : *yadahreva virajet tadahareva pravrajet*, as I quoted for you. 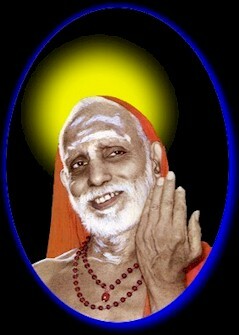 If one is dead-set even on one one of the SAdhanAngas, all the others have to follow. They will. That is why he might have thought: When ‘uparati’ is fully achieved, sannyAsa has to follow. The direct meaning of ‘sannyAsi’ is ‘well- renounced person’; that could be the reason why an ‘uparata’ has been called a sannyAsi. For, the qualities that are yet to come are ‘SAdhanA’, ‘shraddhA’ and ‘samAdhAna’ – in none of which there is any aspect of ‘renunciation’. You will know it when I explain them. Once that happens it is just opposite to ‘death’; it is the state of immortality (*amRRitaM*). But Atman is not yet realised, though the mind has no turbulence or vibration now, as if the mind is dead. In the Upanishads we meet several arguments between opponent schools. A spokesman for one set of arguments might have answered all the opponents’ objections and the opponent may become spell-bound and ultimately totally silent. 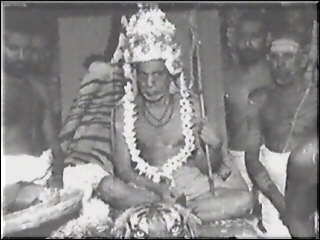 The word that is used on such an occasion is “upararAma”. It means the opponent “rested, devoid of arguments”. In other words, he reached ‘uparama’, the state of rest. The words ‘uparama’ (the noun form describing the action implied in the verb ‘upararAma’) and ‘uparati’ are both the same. In fact ‘yama’ and ‘yati’ both connote the state of actionless rest. ‘uparati’ is of the same kind. He who has reached ‘uparati’ is said to be an ‘uparata’. 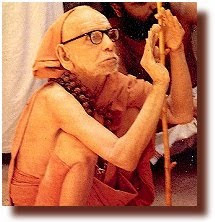 Such a person is described by the Acharya in his Bhashya of BrihadAraNyaka-upanishad as *sarvaishhaNA vinirmuktah sannyAsI* (IV – 4 – 23). Here ‘EshhaNA’ means desire, longing. At another place in the same Upanishad (III – 5 – 1) a JnAni is said to be roaming about like a beggar, having abandoned the ‘eshhaNA’ for son, ‘eshhaNA’ for money ands ‘eshhaNA’ for worldly life. Generally the three desires, namely ‘putra-eshhaNA’ (desire for son) ‘dAra-eshhaNA’ (desire for wife) and ‘vitta-eshhaNA’ (desire for money) are said to be the triad of desires (*eshhaNA-trayaM*). In LalitA-trishati, Mother goddess has a name *eshhaNA-rahitA-dRRitA*. It means She is propitiated by those who have no desires. VairAgya (Dispassion) also connotes the state in which desires have been eradicated. But in that case it is disgust in objects that is dominant. That is the state where one has discarded things because of disgust. But now in ‘uparati’ there is neither disgust, nor desire. 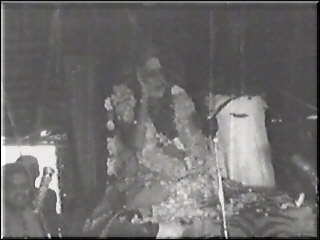 Thus when finally one settles in the Atman, that stage is the next, called ‘uparati’ in the sextad. ‘Uparati’ means stoppage, cessation. There is a meaning of ‘death’ also. In one of Tayumanavar’s songs (*parAparak-kaNNi* #169) he says ‘mind should learn to die’.That is the stage when mind has reached a no-work state and has calmed down thoroughly. 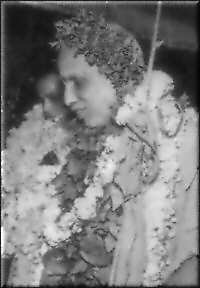 By the continuous practice of shama and dama, mind has released itself from all the objects outside and remains quiet, without any activity for itself – that is uparati. 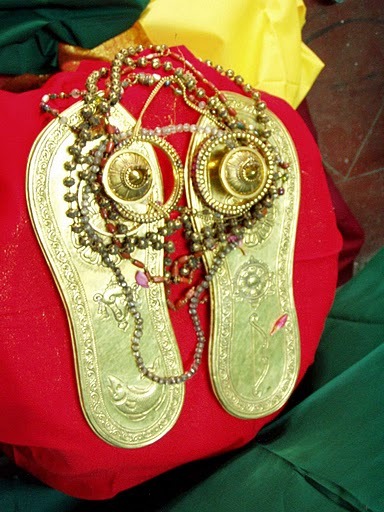 This uparati is mentioned here as the highest (uttamA). ‘bAhyAvalambanaM’ is the hold of the outside. The ‘outside’ does not just mean what is sensed by the senses of perception, like seeing or hearing or moving the hands and legs. Whatever is ‘outside’ of the Atman, other than the Atman, is all included in the ‘outside’. Indeed all the thoughts that rise in the mind belong to this ‘outside’. Mind stands thus released from everything. But this word ‘stands’ is almost equivalent to ‘death’ – that is why it is called ‘uparati’. Mind has no action now. But still Atman-realisation is not there. In the Mahanarayana Upanishad, with great sympathy, it prescribes ‘dama’ regimen for a Brahmachari and a ‘shama’ regimen for the renunciate muni who has renounced everything. 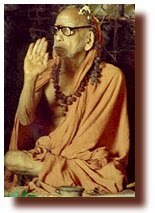 “The Brahmacharis hold that ‘dama’ is supreme, and revel in the implementation of that; whereas the dwellers in the forests (the munis) hold that ‘shama’ is supreme and revel in the implementation of that” (Narayanopanishad: 78 – 3,4). The intended meaning is that both ‘dama’ and ‘shama’ are to be started right from the Brahmachari stage so that when one gets to the stage of sannyAsa, one can attain the total fulfillment of ‘shama’. Where the mind finally calms down and settles, that is the Atman. When the mind stops, the Atman shines. Even in the previous stage, the senses would have stopped running involuntarily and the mind would have of its own volition controlled the senses. Thereafter the residual vAsanAs of the mind would be the ones still to be eradicated. This eradication happens when ‘shama’ is totally achieved. Such a complete cessation of the mind will generate the realisation of the Atman. Thus it is that ‘shama’ is the final calming down. That is why we say “shAntiH shAntiH shAntiH” and also refer to it as “Atma-shAntiH”. The word ‘dAnti’ (controlled mind and senses) is also of the same kind. The controlling action implies a force, whereas what follows is ‘shAntiH’. In other words it is not ‘control, then shAnti’ but ‘control, that itself is shAnti’. The use of two words ‘chanchalaM’ (wavering) and ‘asthiraM’ (unsteady) to describe the turbulent nature of the mind is significant. By whatever prompting this wavering and unsteady mind runs outward towards objects, from each such prompting shall the mind be pulled back and drawn into the confines of the Atman, says the Lord. The moral of all this is that even those who have many good qualities do lack the quality of self-control. This is because the attractions of sense-objects have power to draw man into the vortex of MAyA. So the process of getting out of those attractions can be very difficult. ‘dama and shama’ -- it is not necessary to separate them as two things; even for the divines the control of both the mind and the senses was what was advised – this control is what should be achieved with great effort. One should not leave off the efforts after a few failed attempts. One should not have a feeling of let-down by defeats in this effort. Trust in God and persistently make the efforts. Keep the practice without losing heart. Even when the objects in the outside world though perceptible to the ears, the eyes, and the tongue, are not within the reach of these senses, the mind may be thinking all the time about the experiences pertaining to those objects. The control of these thoughts is what is called control of the mind. It is not at all easy to be achieved. What is to be successfuly attempted at first is, even though the desires in the mind do not vanish, at least in the outer world of activity the indriyas may be restricted not to graze around – in other words, dama (control of the senses of action). A vrata, a fast, a starving of the eyes from objectionable sights, avoidance of sense-pleasures on certain days – such are the efforts that must be practised with some persistence. This will lead to the mind being trained for the paractice of shama and becoming a little more mature. When the sense objects are not around, it may be possible to control the mind from thinking about the experiences with them and the mind may remain at rest; but once we come out from that solitude to the outside world, immediately the ears will long for movie music from the radio and the tongue will yearn for that tasty coffee or other drink it used to have. Thus each indriya, without even the prompting of the mind, will run after its old vAsanA. Independent of the reins the horses now are ready to run! Now again the ‘weapon’ of ‘dama’ has to be used. Thus controlling the indriyas from running after the external objects, inspite of their availability around, the other weapon of ‘shama’ of the mind has to be applied so that the mind also does not run after them. Thus the processes of ‘dama’ and ‘shama’ have to be used alternately as well as simultaneously until one is really sure that one has achieved the needed control of both kinds. The finishing line is of course the total peace that one obtains at the fulfillment of ‘shama’. Thus what can be somehow accomplished is the process of ‘dama’. That is how, in the story of Brihadaranyaka Upanishad, the single letter ‘da’ was conveyed by BrahmA to all the three species (devas, asuras and manushyas) at the same time but each one of them understood it to mean differently. They understood it to stand for the first letter of a message specially intended for them. The divines took it to stand for ‘dAmyata’, that is, ‘control your senses’. The Creator agreed with their interpretation of the message. The humans took it to mean ‘datta’ that is, ‘Give: Do acts of charity; be charitable’. This also was approved by the Creator. The asuras took it to mean ‘dayadhvaM’, that is, ‘Be compassionate’. Again the Creator gave his approval of this interpretation. The Acharya in his Bhashya has commented on this that the three categories of people – devas, manushyas and asuras – are all of them in the human kingdom itself. People who are generally known to be good, but still do not have their senses in control are the ‘divines’. People who have no charitable disposition and are greedy are the manushyas in the classification, because man’s greatest weakness is greed and the consequent absence of a charitable disposition. People who have not even an iota of compassion in their hearts are classified as asuras. In other words, all the three messages of advice are for humanity. In describing the attributes of a sthita-prajna, He says: “Just as a tortoise draws its head into the shell whenever there is danger, a human being should withdraw his senses from the sense objects into himself” and thus emphasizes the need for sense-control, by giving this beautiful analogy. Whenever the senses go outward helter-skelter on their own, it is danger time for the human. The tortoise has to draw its head into the shell only when it smells danger; but the human has always to do this withdrawal. The Lord underscores this fact by using a simple additional word, almost innocuously as it were, namely, the word *sarvashaH* in that verse II – 58. *yadA samharate cAyaM kUrmo’ngAnIva sarvashaH*. In Brihadaranyaka Upanishad the entire divine community gets the advice: (V – 2 – 1) *dAmyata*, meaning, ‘Keep your senses under control’. The story goes as follows: Not only the Divines, but the Humans as well as the Asuras – all three species went to PrajApati, their Creator to get advice. They were told by BrahmA only a single letter “da” and were also asked whether they had understood it. Generally every one knows one’s own weakness. So if somebody tells him a message in a disguised way and asks him to understand what he needed to understand, they will get the message in the way they think it was applicable to them. To understand something oneself this way has also a greater value. It will stick. One will not find fault with the fault-finder, for the curiosity to decipher the message will win! 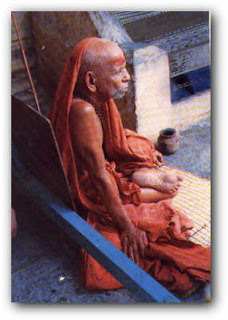 A sannyasi is called ‘yati’. The Tamil name ‘Ethiraj’ is only a mutilated version of ‘Yatiraja’. ‘Yati’ means a Sannyasi. The direct meaning of the word is one who has the quality of control or one who has controlled. 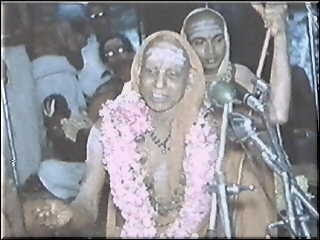 Shri Ramanuja is usually known also as ‘Yatiraja’. The words ‘yama’ and ‘yata’ both indicate ‘control’ or ‘discipline’. The divine Yama is one who controls every one by fear. 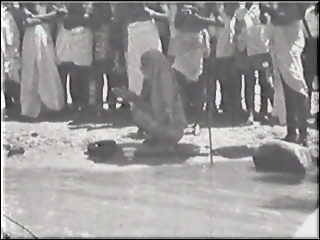 He takes them to his locale where they are controlled and punished; so his locale is called ‘samyamanI’. That matter of Yama pertains to control of others. But the matter of ‘Yati’ is control of the self. So the Shastras such as the Gita talk of such a ‘yati’ as ‘yatAtmA’ or ‘samyatAtmA’. The forced controls take place in the city of SamyamanI whereas the Sannyasi who has strict self-control is called ‘samyatAtmA’ or ‘samyamI’. Here the control is of the mind and of the senses. In other words he who has acquired ‘shama’ and ‘dama’ is the ‘yati’ or ‘sannyAsi’. The Lord says (IV – 39) *shraddhAvAn labhate jnAnaM tatparaH samyatendriyaH* -- the one who has, with shraddhA (faith and dedication), controlled all the senses and thus is a ‘samyatendriya’, attains JnAna. Actually He has symbiotically combined here shraddhA, shama and dama , all three occurring in SAdhanA-chatushhTayaM! The Lord usually talks about shama and dama both together. Here ‘sarva-dvArANi samyamya’ (damming all gates) is ‘dama’; ‘mano hRRidi nirudhya’ (fixing the mind in the heart) is ‘shama’. The dvAras are the gates; these gates are the indriyas, namely, ears, nose and mouth – in which the gates are visible and explicit; and the skin, in which the gates are not visible, but we know every hair on the skin is only a gate-like equipment, though invisible; and finally the eyes, which we know is just a fixture in one of the openings of the skull and further light passes through the eyes and creates all the images that we see. So the controlling of these five gates is nothing but the dama that controls the senses. And the process of controlling the mind and stabilising it in the Atman is the shama described in “mano hRRidi nirudhya”. “bhavanti bhAvA bhUtAnAM matta eva pRRithak-vidhAH” – All the different attitudes of the beings emanate from Me, says the Lord. And then He gives a list of the highest among them: (X – 4, 5) Intellect, wisdom, non-delusion, forgiveness, truth, self- restraint (dama) , calmness (shama), ... . And when he makes a list of all divine qualities in the 16th chapter, he includes both dama and shama in “dAnaM damashca” and “tyAgaH shAntiH” (XVI – 1, 2). 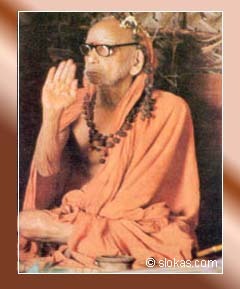 As I have already mentioned, what is obtained by shama is shAnti (Peace) and what is obtained by dama is ‘dAnti’. In short, both mind-control and sense-control have to go hand in hand, complementary to each other. In fact all the parts of SAdhanA have to move in one wavefront and so are to be practised as such in mixed fashion. I already told you they are not supposed to follow one after the other in isolation. I have to emphasize this further in the case of ‘shama’ and ‘dama’. Sometimes the senses do act involuntarily; maybe we can say those are the times when the mind has nothing to do with them. But generally almost all the time, the stopping of the actions of the indriyas or of the mind, does need the sanction and prompting of the mind from within. The movement of the indriyas are in fact the deliberate prompts of the mind which tries to fulfill its desires through them. Of course there may be a little involuntary movement of the indriyas on their own. Movement, maybe, but never the stoppage of movement. It is the mind that has to stop the movement of the senses. Thus, not only is shama, the control of the mind, but dama, the control of the senses, also is the responsibility of the mind. Therefore it is that we also have to contend with shama and dama together. Lord Krishna at one place talks of ‘dama’ as the work of mind: “indriyANi manasA niyamya” says He in III – 7. The same structure of expression occurs in VI – 24 where he says “manasaivendriya-grAmaM viniyamya” – that is, the gang of senses has to be controlled properly by the mind itself. 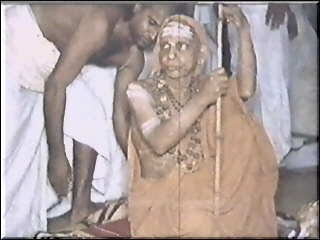 ‘By the mind itself’ – ‘not by oneself’ is what is underscored by the words “manasaiva” ( = manasA eva). Thus controlling, gradually and slowly (*shanaiH shanaiH uparamet*) one should calm down, says he. In fact ‘uparati’ is the next in *shhaTka-sampatti* starting from shama and dama. ‘uparamet’ means ‘one should reach ‘uparati’, namely the calming down of everything. There is another kind of classification. Mind and the five senses of perception (*jnAnendriyas*) only are together counted as six. In the Gita the Lord says *indriyANAM manashchAsmi* (X -22). More specifically, he says in XV – 7, *manaH shhashhTAnIndriyANi* -- ‘the six indriyas including the mind’. There are contexts where the Acharya also has the same opinion. For instance, the indriyas are sometimes called ‘karaNas’ (instruments); because, it is the instrument which implements the actions that fulfill the will of the jIva. On the other hand, the actions of thinking, planning, enjoying happiness and sorrow -- these are done by the mind which is within. So mind is called ‘antaH-karaNaM’. Along with the five ‘karaNas’ that do work outside, the Acharya visualises that sextad as a bee and says in Soundaryalahari (#90) *majjIvaH karaNa-charaNaH shhaT-charaNatAM*. The bee has six feet and so the JIva with its six indriyas (‘karaNas’) is taken as a bee. All movement is with the help of the legs. In life, all the movements of the jIva take place because of these six ‘karaNas’; so they are as good as ‘legs’ for the jIva-bee! This is the ‘karaNa charaNa’ of the shloka. The creature with six legs is the bee. The bee immerses itself in the lotus flower and remains there in enchanted forgetfulness. So also the plea of the devotee is to be immersed in the lotus feet of Mother Goddess forgetful of itself like a bee inside the lotus flower. That is when the mind and the pair of five indriyas are calmed down and the JIva with shama and dama achieved, is immersed in the Absolute. Mother Goddess (ambaaL) has in Her hands a sugarcane bow and five arrows; the bow is to help us with ‘shama’ for mind-control and the arrows are to vanquish the five senses thus helping us achieve ‘dama’. Maybe everything will then have to start all over again according to the maxim *punarapi jananaM*. And we do not know whether we will get a human birth in that ‘punarapi jananaM’. At least now we talk of the Atman and we have occasion to talk of ‘SAdhanA’ to reach that Atman. Our new birth may not be anywhere near the availability of these opportunities. In short, we have to see to it that the indriyas do their necessary work but do not get out of their limited sphere of action. The *sthApanaM* (fixation, establishment) of the senses in their spheres of action is not a stoppage of the senses, but is a fixing of them in their own path. Recall that all this applies to both jnAnendriyas (senses of perception ) and karmendriyas (senses of action). Usually the five senses of perception and the five of action are counted along with the mind as eleven indriyas. The eleven rudra forms of Lord Shiva are the adhi-devatas, the deities pertaining to these senses. 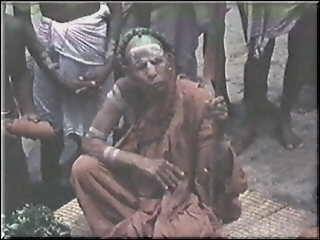 When we fast on the Ekadasi day (the eleventh day of the lunar cycle) it is for starving these eleven indriyas. meaning, “Know the mind as the eleventh indriya, that has an interactive relationship with the pair of five indriyas each ; Just by vanquishing that one, we would have conquered the other ten”. However, in shloka #23 he refers to *ubhayeshhAM indriyANAM*, where he defines ‘dama’. ‘dama’ is said to be the withdrawal of both kinds of senses (jnAna as well as karma) from their objects of enjoyment and limiting them to their own spheres (*sva-sva-golake*). Here the ‘withdrawing of the senses’ makes sense; but ‘limiting the senses to their own spheres’ is not so clear. Let me tell you how I have myself understood this. It does not mean that one should not see anything, should not hear anything, should not eat anything, should not move about or do anything with hands and feet. 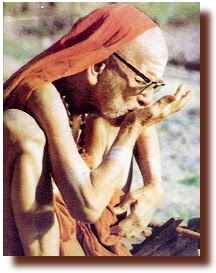 No, the Acharya does not mean that. If we stop all activities that way then the journey of life itself would become impossible. And then where comes the SAdhanA? Only if the base screen is there you can draw pictures on it. Whatever is necessary for life’s journey – like seeing, hearing, eating, walking, moving – has to be done. Thus what is necessary to be done automatically defines a limit, a limiting sphere of activity, on all the senses. This is what is called *golaka* by the Acharya. ‘dama’ denotes sense-control; but here only the senses of perception (jnAnendriyas) are indicated. Just as it is the mind which is the force behind the five senses of perception so also it is the force of the senses of perception that motivate the karmendriyas (senses of action) into action. That is why, the control of the senses of action are not dealt with separately. The control of indriyas usually means control of the five senses of perception only. In Viveka Chudamani a little later (#76 or 78, depending on what reading you are using) these five senses are shown to be the harbinger of all evil. “The deer obtains its ruin by the sense of sound through the ear (Hunters play the flute, the deer gets charmed by the music and stands still; that is when it is caught). The elephant reaches its ruin by the sense of touch through the skin (The he-elephant is caught when he forgets himself in the pleasure of contact with a she-elephant, already known to him and now lured into his track). The moth meets its death by sensing the form through the eyes (Does it not burn itself by being attracted by the form of light-flame which deludes it?). The fish meets its ruin by the sense of taste realised by the tongue (The bait of the fisherman is the worm that prompts the fish to taste it and gets caught). The bee meets its ruin by the sense of smell (The smell of the champaka flower attracts the bee and it goes and sits inside the full blossom of the flower; when the flower petals close up the bee still remains there, being enchanted by the smell and that is when it dies, starved of fresh air). It is because of this importance of mental control and discipline that SAdhanA regimens talk first of shama and dwell on dama later. The complete control of the mind – what is also called the ‘death of the mind’ (*mano-nAshaM*) occurs only almost at the last stage. We are here talking about the penultimate stages. Of course one has to try to control the mind right from the beginning. But the attempt at such control will only succeed temporarily. The moment the eyes see a tasty dish or the nose smells something familiarly pleasant, all discipline goes to the winds. The legs take you to the dish, the hands grab it, and the mouth begins to chew it. Thus even the mind was having a little control of itself, the senses perceive the sense object and that starts a yearning and that does havoc to the control of the mind. Until we reach a spiritual height, our mind behaves like this – that is, controlled when the sense objectrs are not in the perception-range of the senses, and losing control when the senses ‘sense’ the objects of temptation. Those are the situations when the ‘eyes’, ‘ears’ ‘nose’, ‘legs’ ‘hands’ etc. have to be imprisoned and bound. This is why, ‘dama’ is mentioned as soon as ‘shama’ is mentioned. An alternate name for Bharata, the son of Dushyanta and Shakuntala is ‘sarva-damana’, meaning one who controls and reigns over all. It was because of the dominance of her beauty that Damayanti is so called. The God of Death, Yama, is called ‘shamana’ because he calms away the life of every one, be he a king or a pauper, when the time comes for it. From the word ‘dama’ the two words ‘damanaM’ and ‘dAnti’ have been derived; so also from the word ‘shama’, the two words ‘shamanaM’ and ‘shAnti’ have come. The words ‘shamanaM’ and ‘shAnti’ are more frequently in use than ‘damanaM’ and ‘dAnti’. We say ‘ushhNa-shamanaM’ and ‘pitha-shamanaM’ for controlling heat and bile, respectively. Also ‘krodha-shamanaM’ for controlling anger. Though ‘control’ is generally the intention here, the connotation is more mild and points out only to a softening rather than a violent control. The word ‘shAnti’ itself connotes a calming down and stands for a peaceful process or state where the intensity of control does not surface. ‘shAnti’ is the state of calmed mind; ‘dAnti’ is the state of calmed senses. 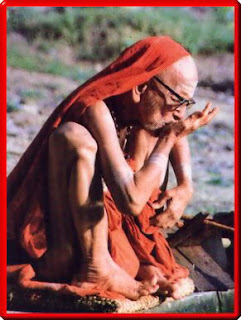 Usually sannyAsis are given the attributes like ‘shAnti dAnti bhUmnAM’. The eyes and ears can close themselves and stop seeing or hearing. The hands and legs also can be tied so that they are incapable of any action. But even then the mind will be having its own goings-on without any discipline. Even though the senses are not experiencing anything, the mind can imagine them and go through all the rumblings and turbulences. When the senses act they act only by the promptings of the mind and for the satisfaction of the mind or fulfillment of the desires of the mind. So what is necessary is to immobilise the mind in order to stop all the multifarious activities of the senses. In fact this has raised even some controversy among scholars. Remember I told you earlier that the sextad of qualifications with the exception of shraddhA has been mentioned in Brihadaranyaka Upanishad. 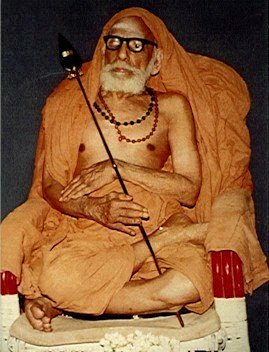 In his commentary at that point, the Acharya has interpreted ‘shAnta’ (one endowed with shama) as ‘one who has controlled the goings-on of the outer senses’ (*bAhyendriya vyApArata upashAntaH*), that is, the one who has reached a position generally accepted to be the state of ‘dama’; and he has interpreted ‘dAnta’ (one endowed with dama) as ‘one who has released himself of the thirst (tRRishhNA) of the inner organ, the mind, (*antaHkaraNa-tRRishhNato nivRRittaH*), that is, the one who has reached a position generally accepted to be the state of ‘shama’. On the other hand, in his prakaraNa work, Viveka-chudamani, he goes with the general trend of meaning. But this need not raise a debate or controversy. 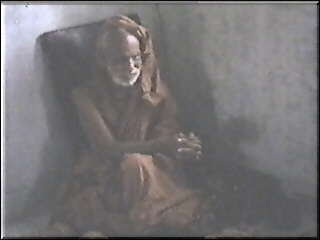 He wrote the Bhashyas almost soon after he was initiated into Sannyasa in his youth. Shama, dama both point to ‘control’ and he might have thought it fit to talk of sense-control first and then only of mind-control. And later when he travelled throughout the country he might have decided to follow the accepted tradition among the scholars. ‘dama’ and ‘shama’ both imply a control on oneself by oneself. So when we generally talk of self-control in an integrated sense of both mind-control and sense-control, we may rightly use either ‘dama’ or ‘shama’ alone. In BrihadaranyakaM when BrahmA teaches the divines generally to be humble, he just says “dAmyata” thus using only the word ‘dama’. The direct meanings of both ‘shama’ and ‘dama’ is control without any specific qualifier as control of the mind or control of the senses. 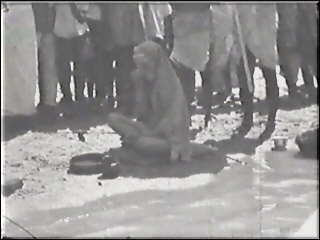 But traditional usage recognises two controls – one, control of the sense organs which either receive or respond to knowledge from outside and control of the sense organs which do actions to help such perception or response and two, control of the mind which creates its own world of thoughts and constantly is roaming about with or without aim in that world. Usage distinguishes these two controls and so uses ‘shama’ for mind control and ‘dama’ for sense control. 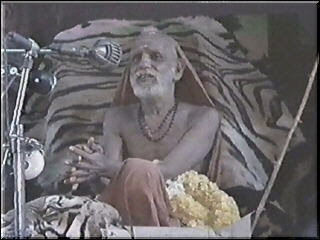 Since anyway both mean control the Acharya himself, in the beginning of his ‘shhaTpadI stotraM’ goes against traditional usage and uses ‘damaya manaH’ where he wants to say ‘control the mind’ and uses ‘shamaya vishhaya mRRiga-tRRishhNAM’ where he wants to say ‘control the senses that run to the mirage of outside sense objects’. 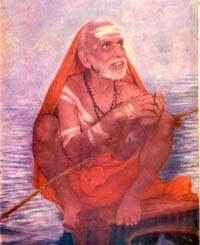 The Prakarana works of the Acharya are unique in describing the advaitic experiences. One can also get from them the rationale and procedure of SAdhanA regimen in a systematic way. On the other hand when we want to get at the siddhanta (conclusion) by analysing the pros and cons of Vedanta, we have to give weight to his Bhashyas. And we may be surprised to note that in these very Bhashyas he has sometimes interpreted shama and dama in a way contrary to their traditional usage! The thing that comes next is ‘dama’. It is control of the sense organs. In fact there is a lot more to say about ‘shama’. But mind-control and sense-control have both to go hand in hand. So let us talk about some basics of ‘dama’ also now and then we can go more deeply about both together. Sense organs are ten – five organs of action and five organs of perception. But the latter cannot ‘do’ anything themselves. 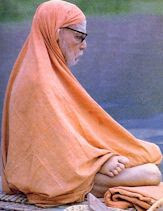 The organs of action do action themselves: actions done by hands – the names ‘kara’ (hand) and ‘kAryaM’ (action) are themselves indicative, the legs do action by walking, jumping and running, the mouth speaks or sings, and two remaining organs excrete waste or vIryaM from the human body. On the other hand the organs of perception are those which cognize (or perceive) things in the outside world and ‘experience’ them. The ear experiences sound, the skin experiences the smoothness or otherwise and the coldness or hotness of something outside, the eye perceives colour and form, the tongue experiences the taste like sourness, bitterness or sweetness and the nose knows the experience of smell. When we do not keep these sense organs under control all the mischief happens. The JIva is bound to this mayic world through the experiences by these sense organs. Only when we control these organs may we hope to enter the world of spirituality. Such control is called ‘dama’. One should think about the negative effects of ‘vishhaya-vrAta’, the gang of sense experience. ‘virajya’ : discarding them out of disgust. ‘sva-lakshhye’ : in one’s own goal. ‘shama uchyate’ : is said to be ‘shama’. In short, the control of mind is ‘shama’. Why does the mind run after sense objects? It is because of the footprints of past experience. They are called ‘smell’ or ‘vAsanA’. This continues life after life. This inter-life vAsanA continues in a latent form in the subtle body, even after the physical body dies. When the soul takes another birth and thus obtains a new physical body, the latent vAsanAs begin to show their mettle! If those vAsanAs can be eradicated in toto, the mind will be calmed automatically. It is thus the Acharya defines ‘shama’ in ‘aparokshhAnubhUti’. (Just now what we gave was the definition from Viveka chudamani). 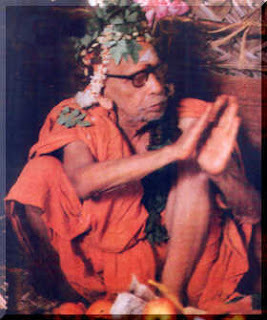 Abandonment always of desire-promptings through vAsanAs is said to be ‘shama. It is enough to understand that ‘shama’ is control of the mind. The conglomerate of all sensual experience in the form of sound, touch, form, taste and smell by the five sense organs is called *vishhaya-vrAta*. By discretion (viveka) and dispassion (vairAgya) one has to analyse and discover that all these are only obstacles on the path to Self-Realisation and so we have to discard them. This is what is said by *muhur-muhuH doshha-dRRishhTyA virajya* -- meaning, ‘often, by realising they are bad, discarding out of disgust’. Our mind is always thinking about what it considers pleasurable and is perturbed because of the inability to reach them. Thus it misses peace and happiness. Once we discard the sense objects as bad then it would be possible to fix the mind on the goal of SAdhanA, the Atman, which is full of peace and happiness. In other words the mind that is frantically running after multifarious matters can be made to stop that running and can be tethered to one goal. That kind of control is what is called *shama*. The third part of SAdhanA-chatushhTayaM is called *shamAdi shhaTka-sampatti* -- the set of six treasures beginning with ‘shama’. These are: ‘shama’, ‘dama’, ‘uparati’, ‘titikshhA’, ‘shraddhA’ and ‘samAdhAna’. Of these people know about ‘shraddhA’, but even here, they usually think it means a deep interest or involvement. It is not so. A firm conviction or faith is called shraddhA; I have already mentioned that shraddhA is faith in what the ShAstras and the Guru say. Again, the sixth one, called ‘samAdhAna’ is also a well-known word but not a well-understood word in its connotation of one of the six ‘sampatti’. We shall take it up when we come to it in due turn. The six are referred to as ‘shamAdi’ by our Acharya. Note that it is ‘shamAdi’ and not ‘samAdhi’. The ‘sha’ is not the ‘sa’ of ‘sa-ri-ga-ma-pa...’ but the ‘sha’ of ‘Shankara’. *shama-damAdi upetaH syAt* says Brahma-sutra (III – 4 – 27). For the attainment of jnAna one should have shama, dama and the like. *tad-vidheH* -- that is the rule, adds the Sutra. Who made the rule? Obviously, the Vedas. It is Ishvara who has so ordained through the vedas. Where exactly do the vedas prescribe shama, dama and the like? In Brihadaranyaka-Upanishad, (IV – 4 – 23) where Yajnavalkya teaches Janaka, he says a JnAni has to be a *shAnta* (one with shama), *dAnta* (one with dama), *uparata* (one with uparati), *titukshhu* (one with titikshhA) and *samAhita* (one with samAdhAna). In other words, only he who has practised and acquired all these can become a JnAni or can obtain jnAna. Here five of the six have been mentioned. 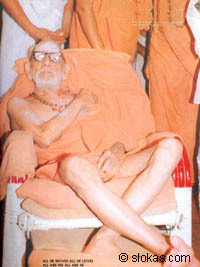 The same order among them is also maintained by the Acharya. ‘ShraddhA’ is the remaining one. It is actually basic to everything. The shruti talks about it in several places. Thus we always talk about the six set of ‘shama’ and the like.